At this point, the fact that Facebook (s fb) is struggling with its mobile strategy is not really news. The company itself flagged the issue in its pre-IPO documents, saying advertising revenue is not keeping up with expectations, and its $1 billion Instagram purchase was widely seen as an admission that it needs a lot of help in the mobile department. But does it make any sense for the company to build its own phone? Some argue this would be a natural extension of the social network’s strategy, but others say it would be a monumentally stupid move to make and is almost inevitably doomed. Mark is worried that if he doesn’t create a mobile phone in the near future that Facebook will simply become an app on other mobile platforms. There are also signs Facebook could be putting together all the elements that would be required for a device that could (theoretically at least) challenge Apple’s dominance in mobile: There is the new Facebook Camera app, which could be connected directly to a device’s camera; the social network recently launched its own Apple-style app store as a central repository for related services and software; Facebook Messages could be the company’s version of Apple’s iMessage; and there have been reports that the social network is planning to acquire the Opera browser. As Bilton notes, this is Facebook’s third kick at the can when it comes to mobile. 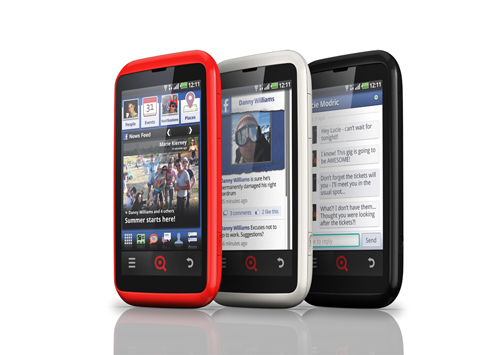 Two years ago, there were rumors the company was planning to release a phone made by handset maker INQ Mobile, the same company that released the first phone with a dedicated Facebook button in 2008. As Om detailed in a post in 2010, the idea was that Facebook would be a kind of social layer on top of a version of Android and that the social network’s functions would be deeply integrated into the device on every level. The INQ Cloud Touch, which released last year, offered at least some of these elements but didn’t take off. Then came another report from All Things Digital that Facebook was actually working with HTC on a full-fledged Facebook device. That sparked a debate between our two mobile specialists — Kevin Tofel and Kevin Fitchard — over whether the social network needed a dedicated handset. Fitchard argued it did, because Facebook would be at a competitive disadvantage if it had to rely on other companies to host its Facebook buttons and other features. Tofel, however, said he didn’t think many users would want a phone that was so overwhelmingly connected to Facebook. We’re working across the entire mobile industry; with operators, hardware manufacturers, OS providers, and application developers. In many ways, the battle to control the mobile experience is a logical extension of the walled-garden building that both Facebook and more recently Google have been engaged in — that is, an attempt to control almost every interaction with users and thereby convince (or force) them to spend more time within the company’s ecosystem, where more data about them can be harvested. That was the rationale behind the launch of Google+, and it has been Facebook’s primary motivation for virtually everything, including the development of the “open graph” platform. Facebook has had a somewhat fractious relationship with Apple and its market-dominant platforms: An attempt at a partnership built around Apple’s Ping social network failed, and Steve Jobs later said Facebook’s demands were “too onerous” — although it’s possible the Apple CEO recognized Mark Zuckerberg’s ambitions and decided they were more like competitors than partners. In any case, not long after that, Apple formed an almost unprecedented partnership with Twitter, which has been integrated as a kind of social layer throughout Apple’s operating systems and platforms. 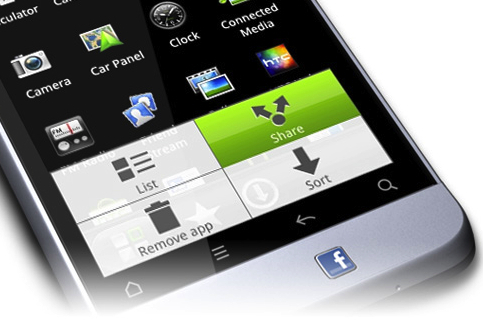 Mobile phone production is a business Facebook has zero experience in. It’s also a business with considerable cost and risk attached [and] no amount of homework done by Mark Zuckerberg is likely to help bridge the operational knowledge and gap needed to compete against the market leaders. After raising $16 billion in an IPO, Facebook obviously has the money to make some risky bets on building a brand-new business (or businesses). It clearly needs to do something to produce the kind of blockbuster growth that would justify what is still a phenomenally expensive stock price, and the company has said its future rests in large part on the mobile market. All of those factors have created a perfect storm of market conditions and desires, and the result could be a very big and potentially disruptive bet by Mr. Zuckerberg. Sounds like Google+and how MySpace created helped them create a Facebook competitor, however will it work, will it take down the ever so rising iPhone sales numbers or will it flop like Google+ did. Every time I hear/read that someone like Facebook has hired former Apple engineers it reminds me of Palm hiring Rubenstein. Takes more than some former engineers. If Facebook is thinking a phone, I can’t imagine this will at all work out. I tend to agree with RM – “Why would I want a Zuck phone to spy on every call, internet search and text message I send?” – If they try, nothing but bad press will come of it. I also inclined on pessimist side of this story. FB phone may not fly if it just offer social on mobile. Android and iPhone are very holistic platforms and Social is significant, but sub-set of super-set. FB has been a success in their game but going beyond would be a question mark. They can spend all the kitty to be this or that, but real path for them is continue to consolidate and partner with other platform openly. Just remeber Google’s limitless ambition an then go look at the projects it waisted years and years on. FB is noway going to ever succeed with a smartphone. It biggest issue is attaining Chinese members. That’s what they should be working on! A killer FB ap that can deliver ad’s and China. FB FAIL! AGAIN AND AGAIN just like Google. they are hopelessly lost in the mobile business. that’s what happens when a zero experience child is the ceo of a $100bn/ $1 social media network. MZ is incapable of leading this business. they have been messing around for 4 years, playing with the look and feel, integration and other crap instead of developing the killer app for FB. now they think they can go hardware, lol, deluded. That’s exactly what Facebook needs to do,…sort of. It’s own mobile platform will take awhile to gain traction though. Even more targeted would be their own Mobile phone OS with FB baked in!!!! With Android phones and iPhones already dominating the market, this seems like a dumb idea. ‘Nuff said. Facebook has limitless ambitions. Every time an entity gets into that type of thinking they may make large waves for awhile, but sooner or later they crash hard. But Facebook’s leadership is too inexperienced and egotistical to be aware of it. Doesn’t make much sense. The reason they failed before is that they didn’t build something people preferred. If I want a phone to use Facebook from, I can buy just about any phone and install the Facebook app. It makes more sense for them to make a better mobile app. Facebook really should try to make sure that if you ONLY use Facebook then there isn’t much reason not to use the official app. Right now people are finding that other apps are faster or work better, and support enough of the Facebook features they use to keep them happy. The first mobile social network was the blackberry by Rim. These companies both need each other right now. Facebook also raised enough cash to buy Rim at a share price of $20-25 which Rim investors would probably take in a heart beat. Why would I want a Zuck phone to spy on every call, internet search and text message I send? Go Zuck yourselves, Facebook. Facebook only needs to make powerful apps and widgets and buying Opera is a good idea. They partnered with Microsoft, Bing and now HTC mobile phone maker and probably the best. Facebook will be fine as is. they will be at a billion users soon enough. And they are on course to beat earnings. No, Facebook will not be fine as is. Just like Google realized the Bing-Facebook integration would mean they’d have to make a move – Google+, Path, Twitter and Pinterest all mean that Facebook is going to have to make a move, especially now that people are questioning whether or not Facebook is really as profitable as was previously thought. Facebook has the advantage of being big, but it needs to work to ensure that it stays relevant. Facebook has a big problem looming, which is that most people don’t consider its official apps to be better than the others. It’s the same reason Twitter bought TweetDeck – if the other apps become popular enough, they have leverage over you. You rely on being able to show ads, maybe collect data, etc. – they can greatly restrict that, and if you do anything in response then you’ll aggravate any of your users who like that app. What else can FB do? It’s hit a growth ceiling and needs a new “product”. A phone + Opera? Or maybe Flock? Buying either browser and reusing the code would bring integrated software technology ala Apple to a phone. Facebook has lotsa moolah to work with thanks to that IPO. Everybody is thinking of Facebook as a site. It is actually an octopus, ready to embrace every aspect of your life with loving grace. If you think your privacy is compromised now and your phone is spying on you, wait until you get a load of a Facebook phone and the inevitably intrusive focus that whole industry will have in the future. “FB will simply become an app”. Well… Facebook IS an app across desktops and mobile platforms. Already. “FB phone” sounds like copy of Google Nexus. FB – as media company – want to control users to offer them to advertisers. For some reason, they think, they will better control user with own mobile device. Fair point. Make sense… For advertisers. Imho, what FB should think about is not a phone, or any other way to grab users for advertisers. FB should think about how to be useful for users. Not entertaining. Not cheap. But useful. FB should think about Social Search on mobile platforms as alternative to Google. By far 99% of social media time is leisure time. It is not constructive and useful. Social Search – which will process real experience of social network users – will make it useful to solve user questions. And will compete with Siri and S Voice for mobile search future. Making Yelp and Tripadvisor obsolete. Good point, Yury — thanks for the comment.